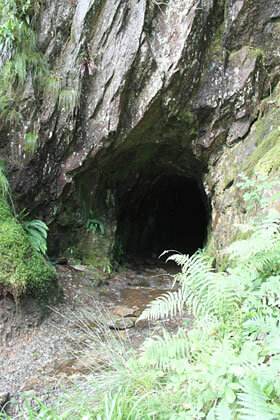 Through our work with Dalgleish Associates on projects such as the Scotgold Cononish Gold Mine in Loch Lomond & Trossachs National Park or Angle Park Sand & Gravel Co quarries in the Howe of Fife we are experienced in supporting applications for both opencast and deep mine mineral extraction. Such proposals are constrained by the geological reality of where an ore body lies – a constraint that can generate conflict with the Historic Environment. Our experience in embedded mitigation enables us to assist the design team to develop viable extraction proposals. Establishing a sound understanding of the archaeological potential of ground at an earlier stage is also important, especially where margins on winnable mineral are low. We deliver cost-effective evaluation services in line with best practice that can ensure the liabilities from an extraction proposal are quantified. Where conflict cannot be designed out, we also provide mitigation services to resolve these issues once development commences. Our aim is to assist in delivering profitable mineral extraction, essential for the viability of our economy, in a manner that respects our Historic Environment. We deliver cost-effective evaluation services in line with best practice that can ensure the liabilities from an extraction proposal are quantified.